Despite a thriving captive-breeding program, the orange-bellied parrot’s long-term survival is still perilous. “I don’t think that way,” says Moonlit Sanctuary director Michael Johnson when asked of the prospects of success. 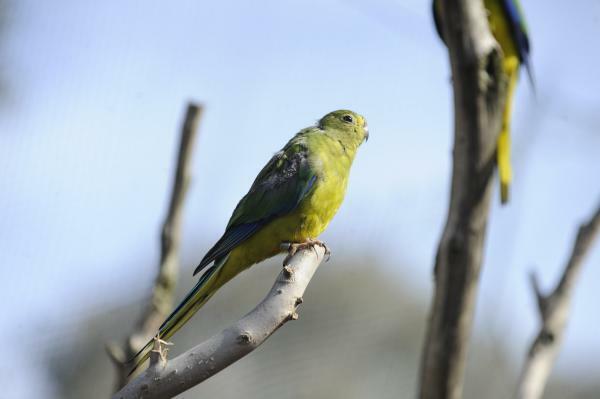 His aviaries are filled with 80 of the birds – part of a Tasmanian and Victorian joint effort to save the critically-endangered species. As far as is known, there’s less than 50 of the parrots in the wild. Just 19 – including three females – returned from Victoria’s coast to their only breeding spot in remote south-west Tasmania last Spring. With numbers so low, losing even a few birds is a disaster, Mr Johnson says. 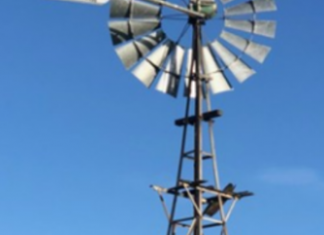 The parrot was much maligned when its threatened status nearly caused the scrapping of Bald Hills wind farm in Gippsland more than a decade ago. The parrot’s population is thought to have plummeted due to a loss of mainland habitat, introduced predators and disease outbreak. However, there are bright signs in the Orange Bellied Parrot Tasmanian Program designed to keep the bird alive. In the past two years, 69 chicks hatched at Moonlit – up from just three in 2015. The overall captive population at sites such as Moonlit and Healesville sanctuaries is more than 300, Mr Johnson says. It is not quite a sustainable population but it has allowed scientists to try different ways to release birds in the wild. One of those is ‘ranching’ – flying over juvenile birds from Tasmania to spend winter in captivity in Victoria, and then flying them back at Spring. The birds are spared the arduous migration that doomed so many of their species last year. The second strategy has been to release very young captive males into the Tasmanian saltmarshes in autumn prior to the winter migration. It is thought their early release will help them better adapt to life in the wild. As well, captive adult males were released in the Werribee wetlands sanctuary to help attract a larger flock. The idea is a larger flock will help protect birds from predators on the mainland. The narrow strip of saltmarshes at Western Port’s Ramsar-listed wetlands could also form an important feeding ground for the wild parrots. “It’s a tiny strip between the sand and the ti-trees that gets flooded on king tides. “It seems to get disregarded so people tend to build on it. 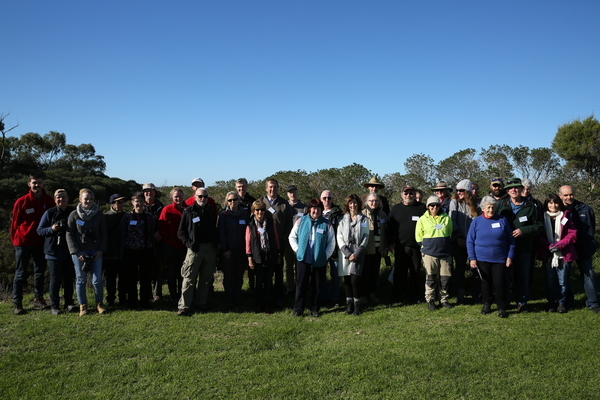 Recently 30 residents of northern Western Port toured Moonlit Sanctuary to learn about the bird and the importance of the wetlands habitat. It was organised by the Western Port Biosphere in its efforts to promote the Ramsar site’s ecological values.